In view of the forthcoming European elections, a public debate has started on Facebook, promoted by the Focolare Movement and addressing those who wish to compare their ideas without manipulation. An interview with Alberto Lo Presti, one of the promoters of the “Europe: time to dialogue” campaign and director of the review “Nuova Umanità” (New Humanity). There are two months left until May 26 European elections: not very enthusiastic elections, at least in Italy, where we shifted from 66.5% of voters in 2009 to 58.7% in 2014. However, with the growth of sovereignists and the difficulties of Brexit, the upcoming elections will have a very large – national and international – political weight, because the new MEPs will help shape the future profile of the European Union: either more open and welcoming or more focused on the needs of individual countries. Recent events, such as the separate meetings of the various European leaders with Chinese President Xi Jinping, have highlighted the easing of internal constraints. To assure the solidity of the Union and to make the dream of a united and supportive continent come true, therefore, the direction taken by the associations that adhere to Retinopera is to be readjusted. On the social networks, the new – sometimes aggressive – meeting place, there are also those who propose a deeper dialogue. 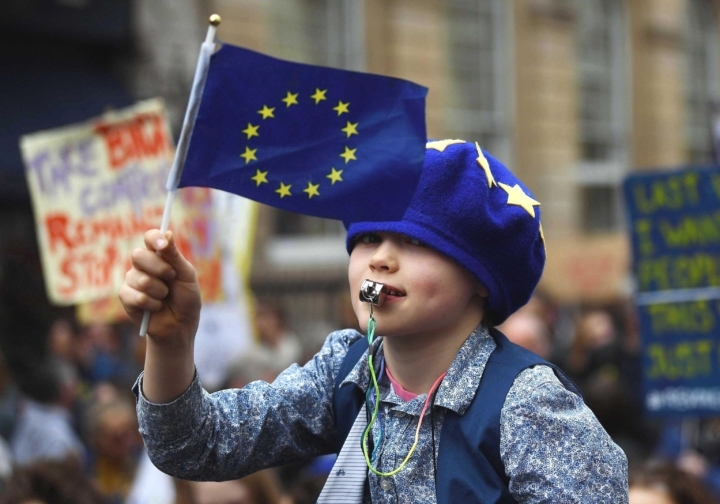 This is the case of Europe: time to dialogue, a campaign promoted by the Focolare Movement, the subject of our interview with political scientist Alberto Lo Presti. Faced with attempts to manipulate consensus, the editor of the review “Nuova Umanità” (New Humanity) explains, the action of discussing and clarifying is a democratic necessity. It is a campaign on social networks, particularly on Facebook, aimed at intervening in the public debate on the occasion of the forthcoming European Parliament elections by injecting into the discussion elements of the culture of unity and Ut omnes [the Gospel sentence “ut omnes unum sint” comes from Jesus’ prayer “May they all be one”, ed.]. Since there are neo-sovereignist temptations and a return to strongly nationalist positions, those who have a vocation for unity cannot remain indifferent, nor neutral. Social networks are like “prairies” in which crafty and clever people insinuate themselves to try to manipulate and influence consensus: experts got to this conclusion through much data analysis and research. All this challenges democracy and the new ways of participating. It is evident that there are interest groups that aspire to global disorder to have a free hand in pursuing their own interests, and to achieve this they sow discord, disrupting the designs of political unity and integration among peoples. Intervening on social networks means supporting the logic of democracy: anyone can speak up, disagree, or concur. We think it is very important not to leave social networks in the hands of the fomenters of political hatred. Are you talking about fake news, false truths, and so on? Yes, and Russian trolls, I might add. The manipulative action carried out by these anonymous and provocative subjects is objective; it has been extensively and scientifically studied and recognized. It is not simply an opinion. How does your campaign take shape? Since a more sympathetic, more united Europe is today at risk, we first want to show how it was the dream and inspiration of so many great protagonists of history. First, it was the dream of those who lived and worked for the unity of the world. Therefore, we will report brief thoughts of Chiara Lubich, Igino Giordani, Pasquale Foresi, Klaus Hemmerle, and others such as De Gasperi, Schuman, Adenauer… We will also try to actualize their message with some comments that meet the challenges of these days, towards the European elections. How do you reconcile the dialogue you promote with the restraint you want to put on sovereignisms? In times of ethical relativism, where every position is always justified and considered legitimate, the worst mistake we can make is to think of dialogue as a showcase into which anyone can look and say what they want. Dialogue, on the contrary, requires organization, preparation, specification of objectives, and ways to achieve it. Dialogue in politics, for example, is to be carried out with the logic of politics. And since the logic of politics has to do with the choice of values (more Europe or less Europe? ), we are to follow the logic that it implies. Putting the brakes on neo-sovereignisms is the fruit of a vision of the world in which we believe and for which we are ready to give ourselves to our brothers and sisters, whoever they are. It is certainly not inspired by hatred towards anyone. We are not ashamed to say that we want what is good, just, and righteous, that we want solidarity. If all this means being do-gooders, that is, preventing shipwreck survivors from dying because we fail to provide our assistance, then we also accept this name. You ask for more Europe in citizens’ lives. Are you also aware of the limits that the European Union has shown and how would you try to correct them? Of course, those limits are so well rooted that we believe that to overcome them we need an even more political Europe. Such limits have a precise name: they are the selfishness of the national States that still act on the public scene, holding back Europe’s legitimate aspirations. To overcome these limits we need more Europe, not less Europe. Neo-sovereignisms are the problem, not the solution. It is precisely these forms of selfishness that prevent Europe from being politically united and often confine it to a more bureaucratic role. Who is your campaign addressed to? All those that we can meet on social networks by multiplying our posts. The Focolare Movement, which is not a restricted sect, has great strength and a capacity to meet people. As always, we address all people of good will and we hope to bring many undecided citizens to vote in the next European elections by tuning in with the motives of the united world. As Chiara Lubich [foundress of the Focolare, ed.] said in Innsbruck, in 2001, united Europe is a step towards achieving a united world. The Focolare members wanted the recognition of Europe’s Christian roots. Today they ask to welcome Muslims too. Isn’t it a contradiction? Not at all, because the Christian message is a message of salvation for all humankind. Since the Christian Churches reject nothing of what is true and holy in the other religions, as the Second Vatican Council says – because it comes from the very spirit of Christianity, that is, from Jesus, who is way, truth, and life for each human being -, this problem does not exist. Christians have a universal approach that makes them ready to welcome everyone, because in each person they see a child of God, a brother or a sister. There is no contradiction: it is just the other way round. Christians who close themselves within their protected enclosure kill the very reasons of Christianity, because by so doing they reject the message of universal salvation that Christianity introduced into history.